If you're looking for a cooled camera to use with short / medium focal length instruments, the Atik 490EX Color is the one that's right for you. The pixels from 3,69μm provide incredible detail, but also with a long focal length instruments. All these features are offered together with an excellent cooling system a light and compact body, are perfect for use with any type of telescope! If you're looking for a cooled camera to use with short / medium focal lenght instruments, the Atik 490EX Color is the one that's right for you. The pixels from 3,69μm provide incredible detail, but also with a long focal length instruments. 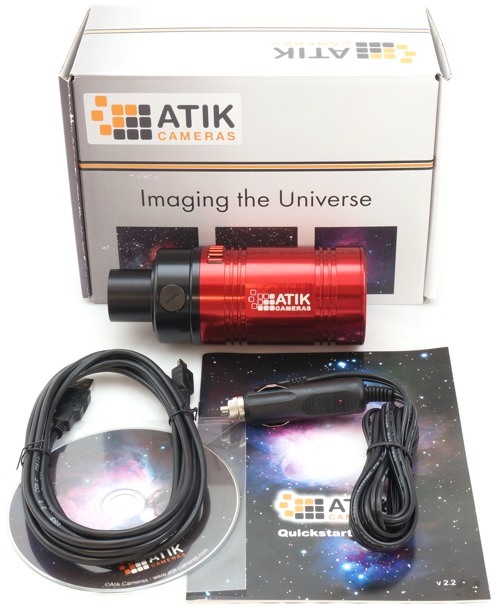 All these features are offered together with an excellent cooling system a light and compact body, are perfect for use with any type of telescope!